Woods, a 14-time major champion, will play in next week’s Valspar Championship near Tampa and the following week’s Arnold Palmer Invitational at Orlando. 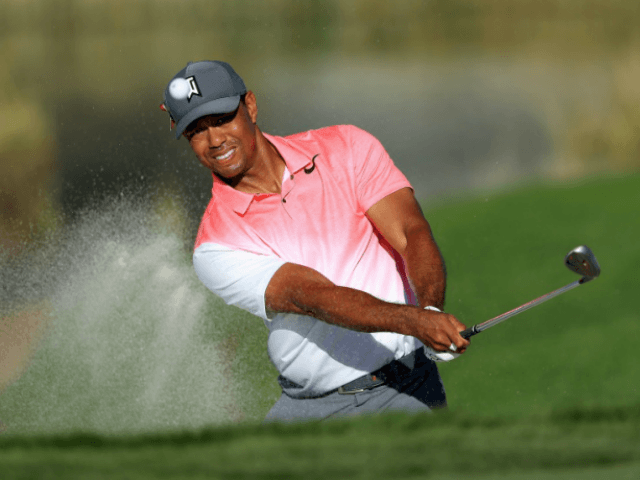 Woods is making a comeback after back surgery that has seen him finish 12th in last month’s Honda Classic, 23rd at Torrey Pines in January and ninth in his return at the Hero World Challenge last December. He also missed the cut last month at Riviera. “After a good recovery week I’m committing to play in the @ValsparChamp and @APinv next two weeks,” Woods wrote in a Twitter posting. The 42-year-old American had limited options for pre-Masters stops because he is ineligible for the World Golf Chanmpionships tournaments this week in Mexico or the Match Play later this month. Woods was expected to play at Bay Hill in the Palmer event, where he has won eight times but has not competed since taking the 2013 title, missing the past four events following back surgeries. It will be the first time Woods has played the Valspar tournament and his first competitive event at Innisbrook resort’s Copperhead course since his early pro days at a 1996 two-player event pairing PGA and LPGA talent. Woods has missed the Masters the past two years due to back issues but is expected to seek his fifth green jacket next month at Augusta National.